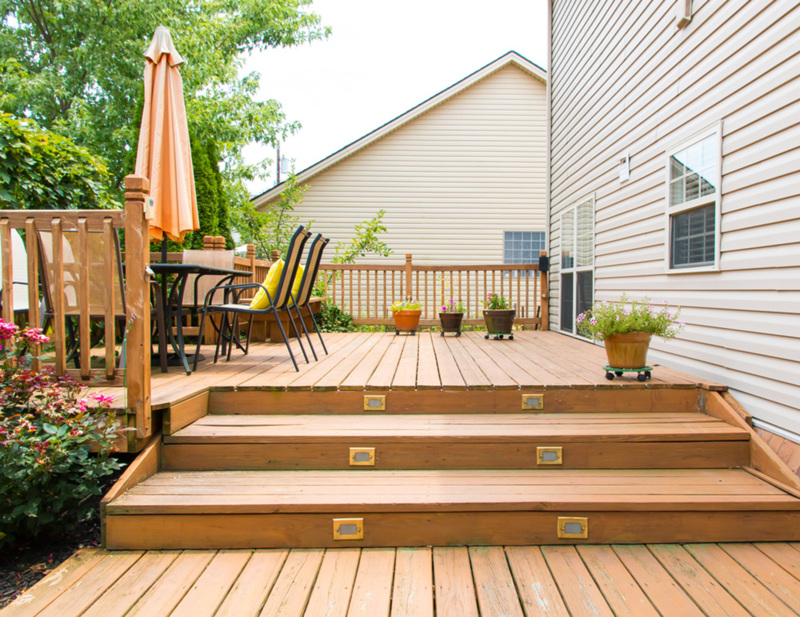 This deck includes an added privacy screen to make your backyard more enjoyable. 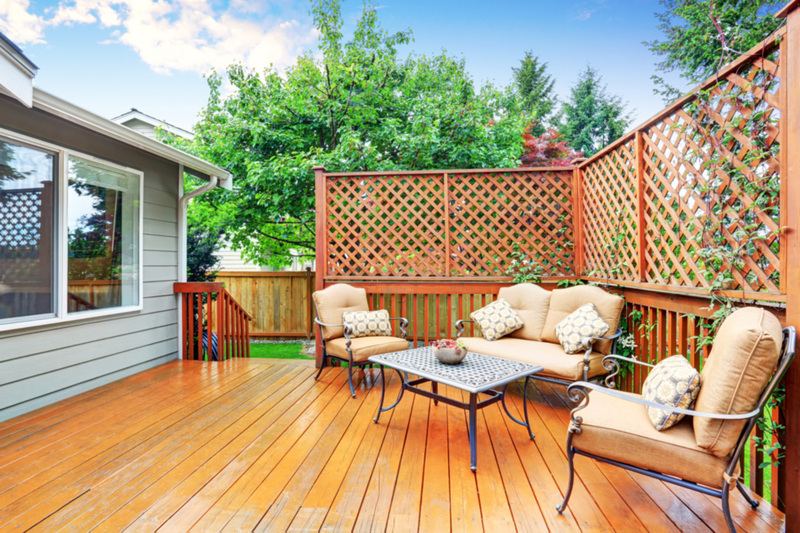 Spend more time outside on a beautiful backyard deck. This idea includes an attached pergola for added aesthetic appeal and privacy. 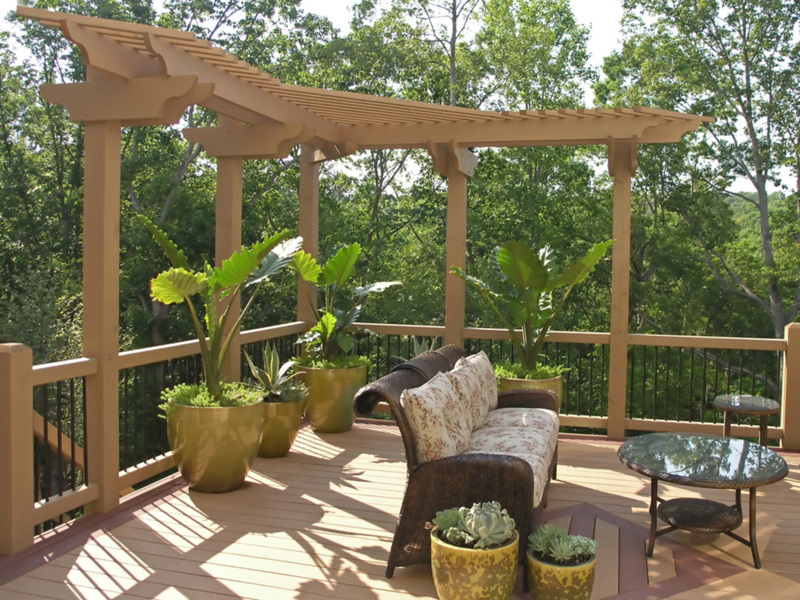 A multi-layered deck can have a very appealing aesthetic to your backyard. Add outdoor lighting for an even finer finish and evening entertaining.